With today's release, it's now possible to customize your dashboard view to be filtered to one or more offices, job types, and/or service lines. 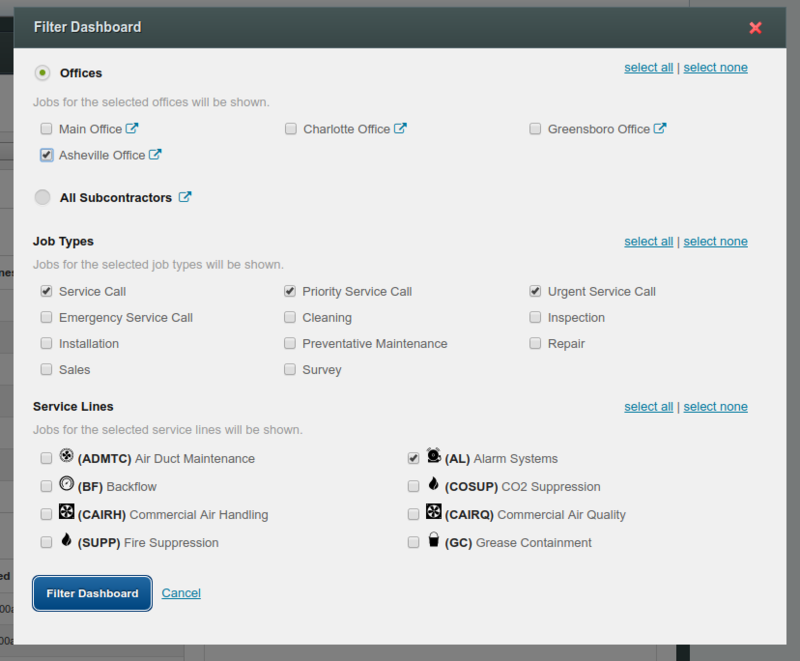 This allows users to tailor their dashboard to meet their specific needs -- to focus only on fire alarm service calls for the Asheville office, for instance. 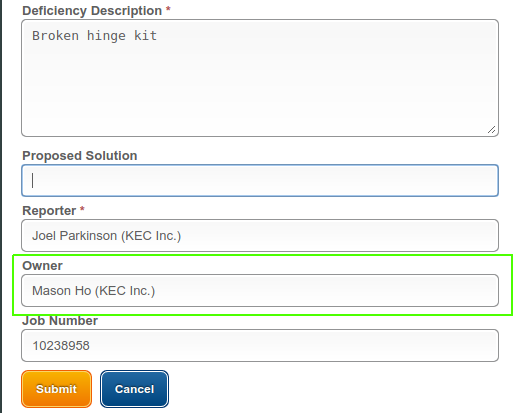 It is also included in deficiency exports, and is gettable/settable via the ServiceTrade deficiency API endpoint. Your technicians can now send a copy of a signed work acknowledgement to any location contact at the service location, using the technician tablet web application. 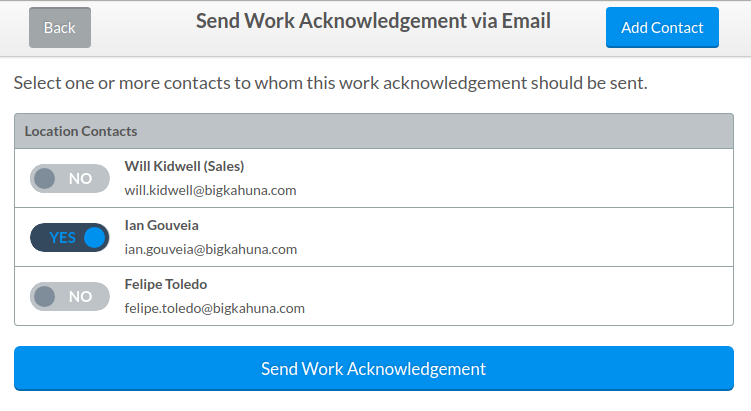 To send the work acknowledgement email to someone who is not already in this location's contact list, click 'Add Contact' to add them. Previously it was possible to add quoted work to existing jobs, but with one caveat: The "target" job could not have itself come from a quote. This limited your ability to generate change orders and create followup or incremental quotes for quoted deficiency repairs, installations, etc. With this release, you can now add the services from an approved quote to any open job at the quoted location, regardless of whether the job came from a previous quote. 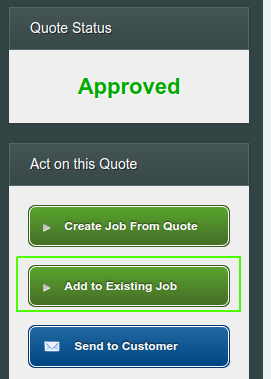 To add a quote to an existing job, click 'Add to Existing Job' on the approved quote, then select the job from the list that appears. If a job is initially created from Quote 1, and then Quote 2 is later added to the job, then the resulting job will have 5 widgets, and when that job is invoiced, all 5 widgets will be priced at $6 each. Improvements to deficiency API endpoint, including embedded location object and support for DELETE.